Using super soft merino wool and your favourite soap, create beautiful wrapped soaps that gradually shrink with use to create a wash pad and are gently exfoliating. No need for a separate flannel. Wool has natural anti-fungal and antibacterial properties and so will stay fresh and hygienic for the duration of it’s life. Every bit of the soap is used and lasts a very long time. 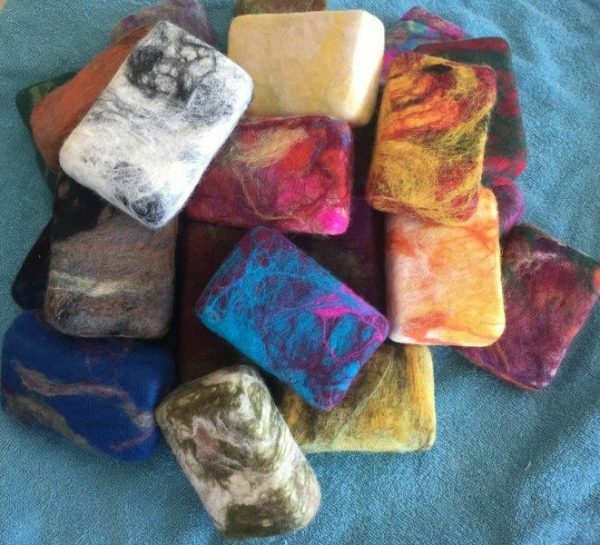 Felted soap is particularly useful for those who suffer from arthritis as it is easier to hold when bathing.